KONKURS ZA UČENIKE SREDNJIH ŠKOLA I STUDENTE – realizovan u maju 2018.
International May Conference on Strategic Management (IMCSM) is a leading international conference in the field of general management. This conference is annually organized by Management Department of Technical Faculty in Bor, University of Belgrade. This will be 15th year of the conference. IMCSM19, will be organized from May 24 – 26th, 2019. 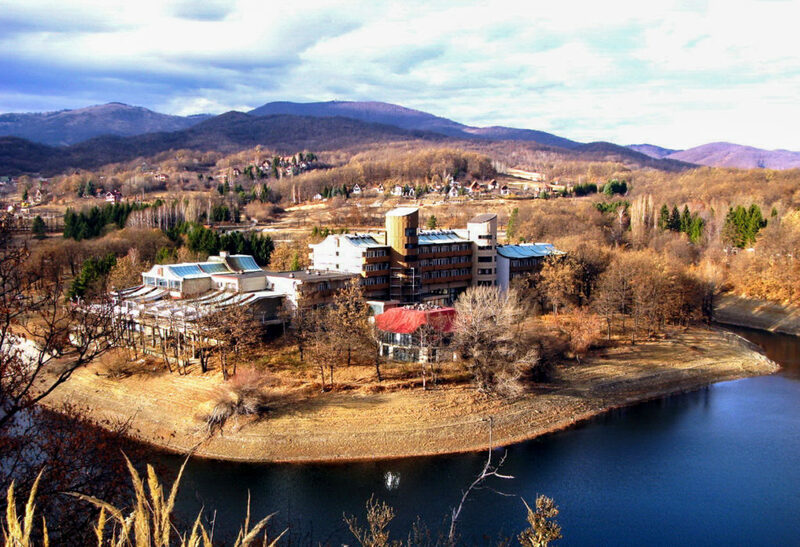 The conference will be held at the Hotel “Jezero” at Bor Lake, near the city of Bor, Serbia. Final announcement for the IMCSM19 can be found on the following link. Organizers of the conference are happy to announce that the International May Conference on Strategic Management is accepted to be covered by the Clarivate Analytics. 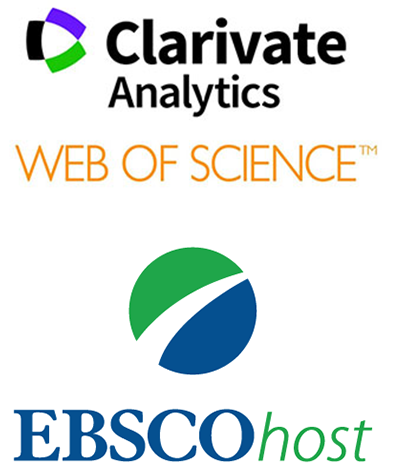 Therefore, in addition to the EBSCOhost database, IMCSM Proceedings is now covered in Web of Science and indexed in the Conference Proceedings Citation Index – Science. 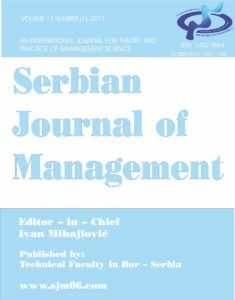 Selected papers from the conference will be published in Serbian Journal of Management – SJM an international journal for theory and practice of Management science. Serbian Journal of Management is covered by SCOPUS, EBSCO and SCImago database (SJR = 0.29 – Q2). Also, there is possibility to publish selected manuscripts of the conference in the journal The Acta Oeconomica Universitatis Selye , which is indexed in ERIH PLUS base. Dr Aleksandra Szewieczek is assistant professor at the Department of Accounting, University of Economics in Katowice. Her research interests are connected with the broad topic of finance and accounting in health care sector (hospitals). She deals with broad topics of financial and management reporting and costing in commercial companies, as well as with selected issues of public sector accounting (mainly International Public Sector Accounting Standards, IPSAS). She gives lecturers on the topics of: bookkeeping, financial and management accounting, cost accounting, financial accounting and reporting in health care entities, cost valuation of health care services, financial management in health care entities. Her practical experience is related to hospital management, preparing expert opinions and conducting audits of accounting information systems in hospitals. She also took part in the advisory group for preparing economic analysis for public payer for health care services and local government. At the IMCSM19, she will present the research on the topic of: “Hospital management in a turbulent environment”. Melinda Majláth (Ph.D in Management and Business Administration) is associate professor at Obuda University, Keleti Faculty of Business and Administration, Budapest, Hungary. Her main research focus is corporate social responsibility, environmentally friendly marketing and green consumer behavior. During 2006-2008 she worked for Hoffmann Research International (Budapest) as a quantitative researcher. She is the member of the Hungarian Economic Association and member of the public body of Hungarian Academy of Sciences. The topic of her plenary lecture at the IMCSM19 will be: “Challenges of Corporate Social Responsibility – in Theory and Practice”. Sanja Marinkovic, PhD is an associate professor at Department for Technology, Innovation and Development Management and a vice-dean for international cooperation at Faculty of organizational sciences, University of Belgrade. She is an author of a book “Innovation Management in Services” and co-author of several books in Serbian “Technology Entrepreneurship”, “Management of Sustainable Development” and “Management of Innovation and Technological Development”. She is co-autor of book chapters published in international publications like “Entrepreneurship in Central and Eastern Europe, Development through internationalization”, “Hidden Champions in CEE and Turkey – Carving Out a Global Niche” and others. She is a lecturer at dual award master programme International Business and Management, validated by Middlesex University London. Her research and teaching interests are in the fields of technology and innovation management, sustainable development and SMEs development. The topic of her lecture at the IMCSM19 will be: “Technology Entrepreneurship and Challenges of Commercialization”. 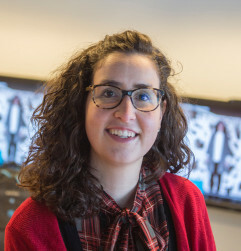 Dr. Olalla Díaz-Yáñez is a postdoctoral researcher at the School of Forest Sciences of the University of Eastern Finland. Her research interests are management, risk and data science. She currently works on those topics from a forestry point of view. In her research she works on topics related to forest change and stand dynamics. She is particularly interested in how management and natural disturbances change forests, the consequences that they have on ecosystem services, and how forest risk and future changes can be considered to help landowners to take decisions on how to manage forests. She also teaches in a variety of subjects including data science, academic skills, forest management and forest biomass. Her presentation will be about solving multi-criteria problems in forest management. Dr Marija Panić is an Assistant Professor at the Management Department, Technical Faculty in Bor, University of Belgrade, Serbia. Her main research fields are: modelling of business and technology processes using modern statistical methods and tools, multi-criteria optimization in technological processes, risk management etc. She is teaching: Basics of Management, Management, Risk management and Engineering Risk Management. Addititonal details about professor Panić are available at the following link. At the IMCSM19 conference, she will speak on the topic: „Ranking of zinc concentrates for the production of cathode zinc using fuzzy logic approach“. Prof. dr Živan Živković, University of Belgrade, Technical Faculty in Bor, president of the SB. Prof. dr Ivan Mihajlović, University of Belgrade, Technical Faculty in Bor, vice-president of the SB. dr inż. Renata Stasiak-Betlejewska, Institute of Production Engineering, Faculty of Management, The Czestochowa University of Technology Poland. Publication: All abstracts of the papers from the IMCSM19 will be published in Book of abstracts, before the conference, in the printed edition. Also, all the papers will be published in Book of Proceedings of the conference, in the electronic form (CD) and will be available for download. Abstracts: abstracts of the papers and reports should be submitted in English language (for authors from Serbia also in Serbian language). The abstracts should be prepared in following style and shall contain: title (font Times New Roman, Bold, Capital Letters, 14pt, cantered), authors’ names and addresses (Times New Roman, Bold, 12pt, Italic, cantered), text not exceeding 1800 characters (Times New Roman, Normal, 12pt, justified) with margins: top and left – 30mm, bottom and right – 25mm, in A4 format (210х297 mm). Full Manuscripts: Full length papers should be submitted in English or Serbian language. Full length manuscripts should be submitted to the email djpredrag@gmail.com. The manuscripts should be written in MS WORD 2003 or a higher version and prepared according to the instructions for authors. The manuscripts should be written in MS WORD 2003 or in a higher version. Size: not exceeding 10 pages A4 format (figures and tables included), with margins: top 30 mm, right, left and bottom 25 mm. Fonts of the body text, abstracts, and subtitles: Times New Roman, Normal, 12 pt, Single line spacing. Paper title: Times New Roman, Bold, Capital Letters, 14pt, cantered. Authors’ names and affiliations: cantered, italic, separated from the title by one empty line with mail and E-mail addresses. Author A., Author B., Serbian Journal of Management, 33 (1), (2016), 12-24. Author C., The name of the Book, Publisher, City, 2016. Author D., in Handbook (Editor E.), Publisher, City, 2000, 223. Author E., Proceedings of XII International Symposium of Strategic Management IMCSM16, Date, City, Country, 2016, 123-131. Reference number should be given in brackets through the text [#] (regular text, not superscript). References in not-English languages should be translated in English, and original language has to be mentioned in brackets (in Serbian), for example. MS Word template for full paper preparation is available here: IMCSM19 template. Conference fee can be payed in EURO (125) or Serbian Dinars (15 000). Payment Reference Number is assigned to each submission after completion of the online registration form at https://goo.gl/x6o6yh and it will be sent to the corresponding author in the official letter of acceptance. In parallel with the IMCSM19, 15th Students symposium on strategic management will be organized. Students at the bachelor and master level do not have to pay the conference fee. Students at the PhD level do have to pay, with 50% discount. 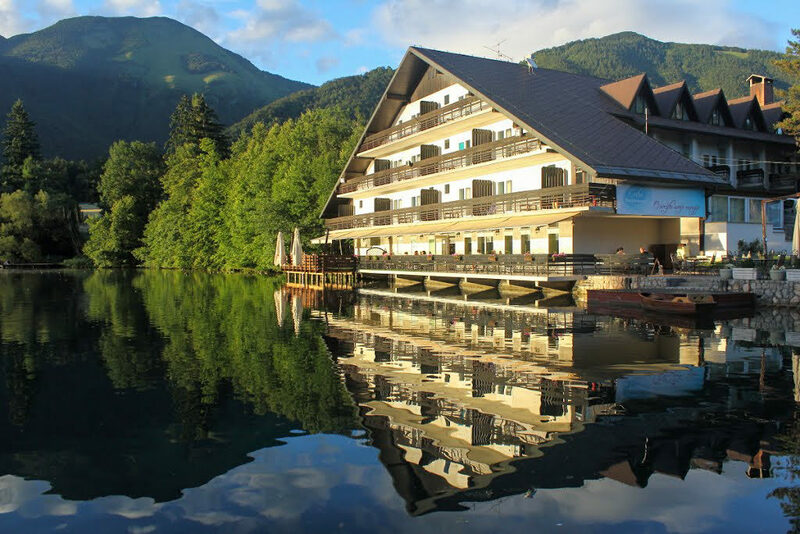 A suggested accommodation in the city of Bor for the conference participants is Hotel “Jezero” which is situated on attractive location on the Bor Lake, 17 km from the city centre. This prestigious four-star hotel-tourist complex is famous for its beautiful surroundings and its local gastronomic specialties. Room reservations should be done before 30th of April 2019 !